Project Comet is an upcoming cross-platform app from Adobe which allows developers to do everything from wireframing to prototyping their UX designs. Adobe has a rich history of providing robust applications which are often able to do more than they were originally intended for. A good example of this is Photoshop, which was designed originally for the editing and manipulation of photos but has since become an indispensable tool for the design of mobile applications and websites. Project Comet looks to take that history a step farther, giving users a one-stop shop for UX design on multiple One of the hallmark factors that sets Project Comet apart from many other design tools is the ease with which it is able to allow users to test designs across multiple platforms. This allows multiple screen sizes and devices to be tested with a quick view of how the content itself will appear. Though it may seem like this functionality could have been added in to with Muse or Dreamweaver, Adobe opted to create a novel product to provide this functionality instead. Perhaps the best thing about Project Comet is the fact that it does not require a user to code anything. Users are provided with vector drawing tools that they can then use to create their prototypes. Following the creation of elements, a simple drag and drop interface can then be used to finish the app creation. The program leans strongly in favor of the use of CreativeSync in order to allow users to utilize tools in Illustrator and Photoshop quickly and easily. Reviews of Project Comet have, so far, been very positive. According to Andrew Shorten, the project manager of Project Comet, the program was created in order to give designers a broader access to cross-platform design tools. He states that it is important to consider not only the design itself, but the experience that goes along with the design for the end-user. Up until now, programs have struggled to assist with the experience aspect of design. The drag and drop interface which is being presented in Project Comet allows for quick changes that can immediately be tested as a prototype. It helps to ensure that he gap between design and prototype is as small as possible. The ease with which designers can adopt Project Comet to their needs makes it a tool that deserves a serious look moving forward. The fact that it can be connected to mobile devices directly in order to do on the spot testing adds another level of functionality to the product. As with many Adobe products, Project Comet can also work hand in hand with Photoshop and Illustrator. 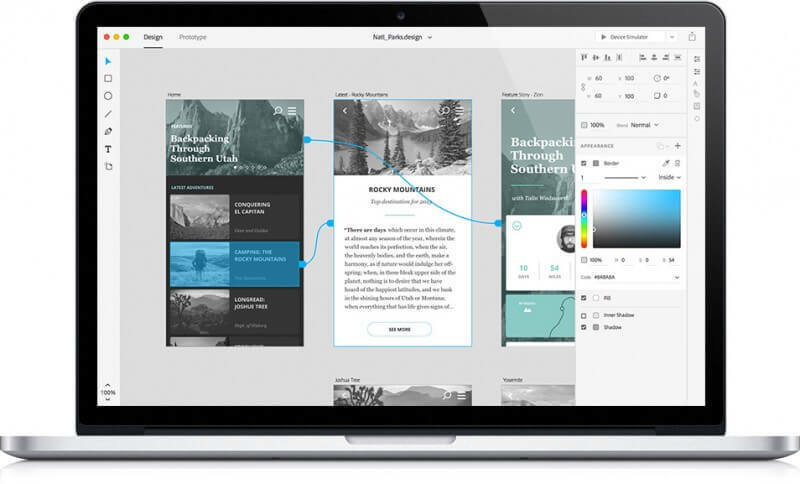 Everything points to Project Comet being a success for Adobe and an essential tool for UX designers moving forward. When it releases in 2016, Project Comet may prove itself to be a game changer in the field of UX design.